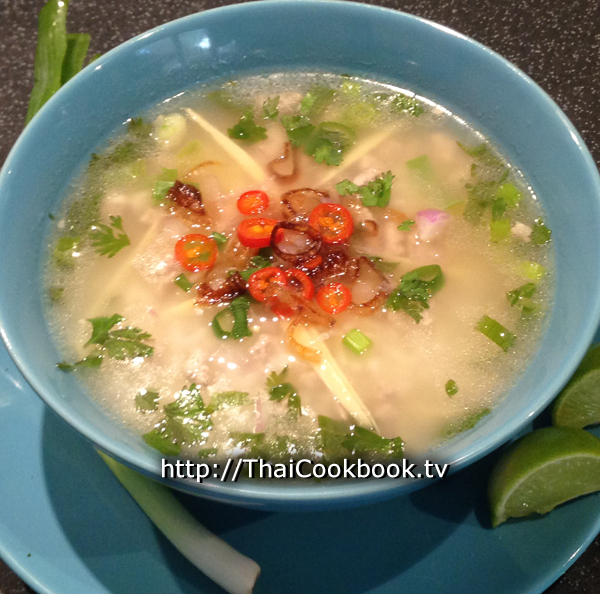 The combination of lemongrass, ginger, coriander, and other herbs make this Khao Tom (rice soup) deliciously comforting as a Thai-style breakfast on a cold Chiang Mai morning, or anytime you are feeling ill. Thais don't really eat "breakfast only" foods, but if we did this would be on the menu. 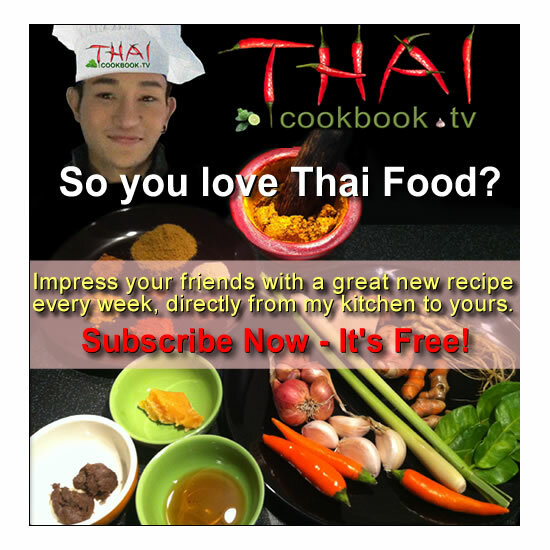 This version is made with ground pork (moo sap), but Khao Tom can also be made with chicken and fish. 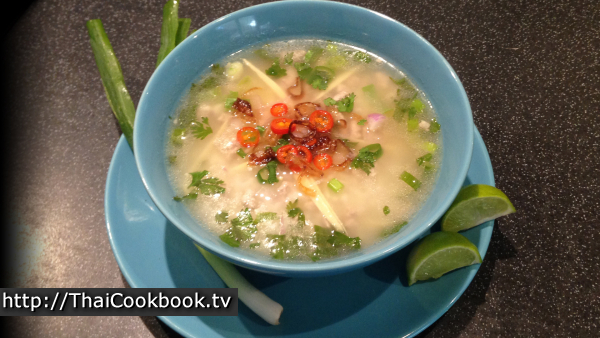 What's in our Rice Soup with Minced Pork. How we make our Rice Soup with Minced Pork. 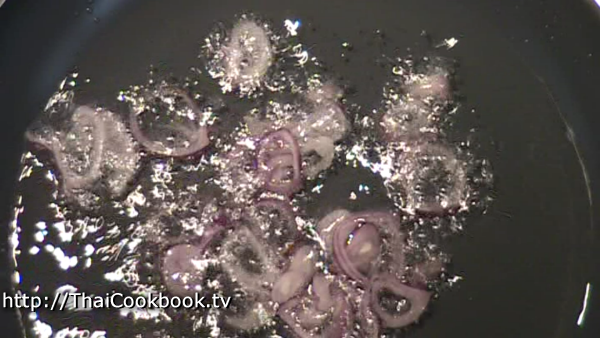 1) Add a small amount of oil to the bottom of your soup pot and fry the chopped garlic and shallots for a few seconds. 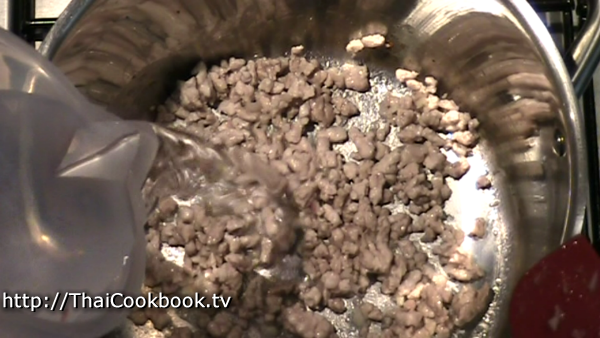 2) Add the ground pork and fry until completely cooked. 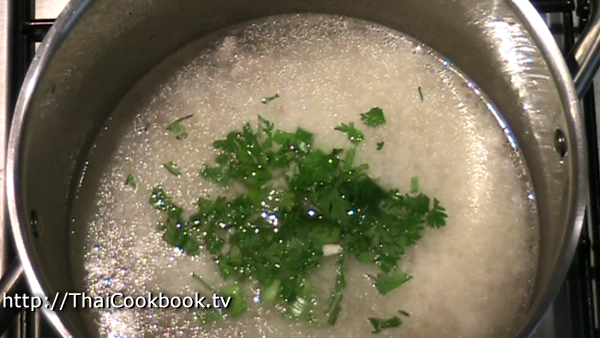 3) Add water to the pot and let the soup start to get hot. 4) Add lemongrass and ginger. 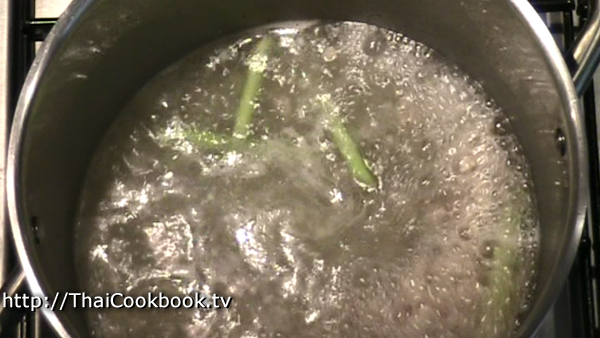 Boil for 5 minutes, then remove the lemongrass stalks. 5) Add precooked rice, green onion, cilantro, fish sauce, and lime juice. Boil for 1 minute, then serve. Making this delicious rice soup seems a little complicated at first, but it's actually quite easy to do. 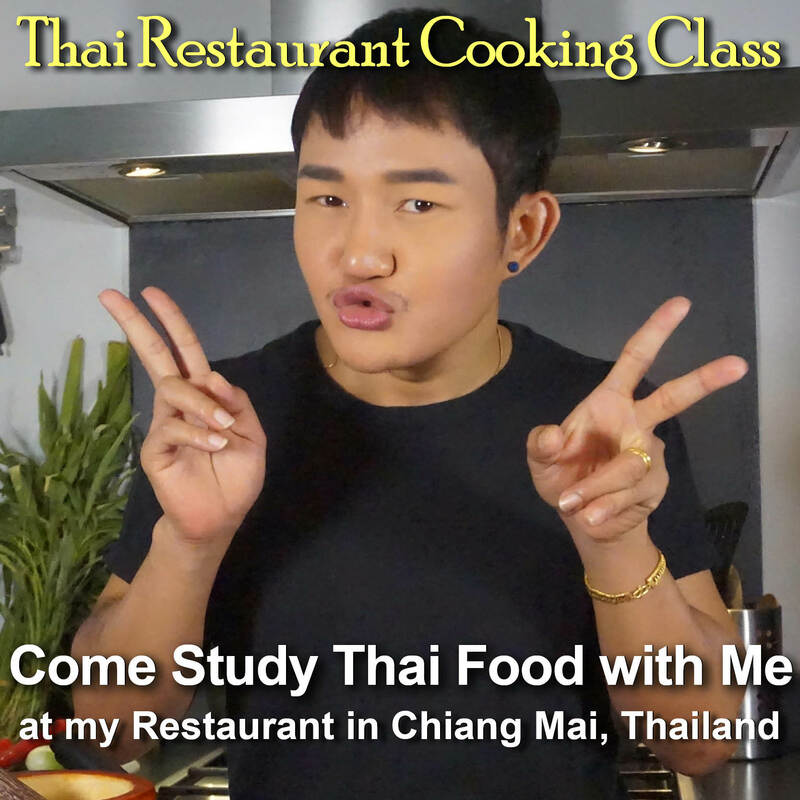 Start by making up a pot of steamed white rice, in advance, or save some leftover from a previous meal. Then, peel 2 - 3 red shallots, slice them very thinly and set aside. In the next step, we'll fry these to use as a topping on the finished soup. Peel a section of fresh ginger and cut about 10 very thin slivers. Chop some shallots and garlic very fine, chop the cilantro, and cut the green onion. Slice one Thai hot chili very thinly. Juice enough lime so you have about 2 tablespoons. 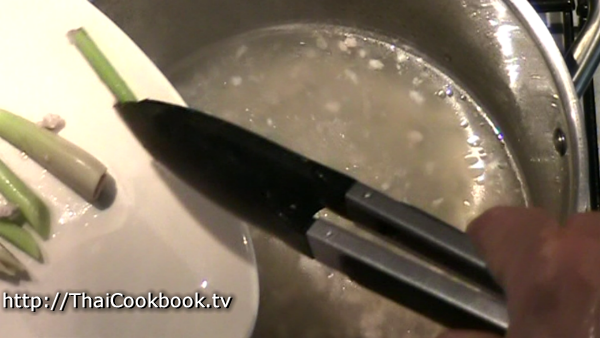 Cut the lemongrass stalks into 2 or 3 pieces. Heat about 1/2 cup of vegetable oil in a small frying pan. Add the sliced shallots and fry on low heat until browned and crispy. Add just a small amount of oil to the bottom of your soup pot, just enough to coat the bottom, then fry the chopped garlic and shallots for a few seconds. Add the ground pork and fry until completely cooked. Add water to the pot and let the soup start to get hot. 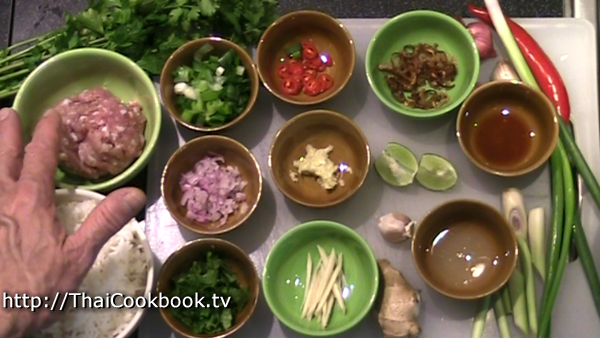 Add the lemongrass and ginger, saving a few slivers of fresh ginger to use as a garnish later. Boil the soup hard for about 5 minutes. 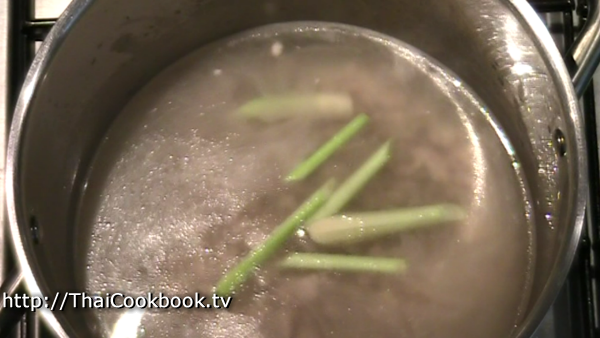 Remove the lemongrass from the soup. 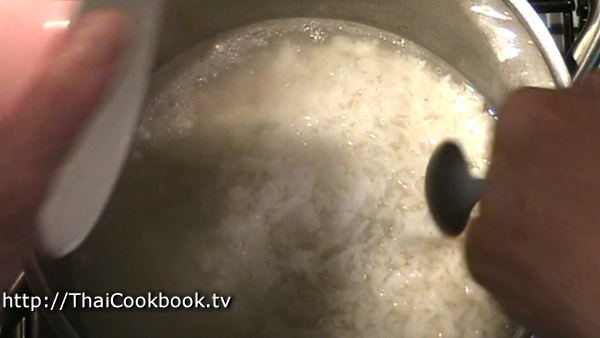 Add the pre-cooked rice to the soup. Add green onion, chopped cilantro, fish sauce and lime juice. Boil for about 1 minute. Turn off the heat and taste the soup. The flavor should be a little sour and a little salty. Add more fish sauce if it needs salt, more lime if you want more sour flavor until you get it just right. Place the fried shallots on top. Garnish with some fresh ginger slivers, cilantro leaves, green onion, and red chili. Serve immediately.